Dante Alighieri’s Divine Comedy has, despite its enormous popularity and importance, often stymied readers with its multitudinous characters, references, and themes. But until the publication in 2007 of Guy Raffa’s guide to the Inferno, students lacked a suitable resource to help them navigate Dante’s underworld. With this new guide to the entire Divine Comedy, Raffa provides readers—experts in the Middle Ages and Renaissance, Dante neophytes, and everyone in between—with a map of the entire poem, from the lowest circle of Hell to the highest sphere of Paradise. 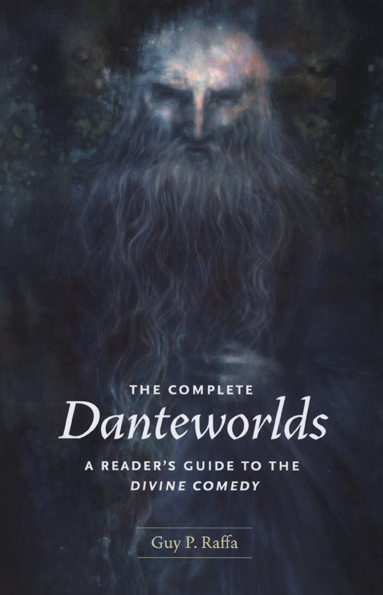 Based on Raffa’s original research and his many years of teaching the poem to undergraduates, The CompleteDanteworlds charts a simultaneously geographical and textual journey, canto by canto, region by region, adhering closely to the path taken by Dante himself through Hell, Purgatory, and Paradise. This invaluable reference also features study questions, illustrations of the realms, and regional summaries. Interpreting Dante’s poem and his sources, Raffa fashions detailed entries on each character encountered as well as on many significant historical, religious, and cultural allusions. "This useful study guide, aimed at the student or non-specialist reader, provides a detailed canto-by-canto summary of the Divine Comedy, together with explanations of the many literary, mythological, historical, and political allusions throughout the poem."